Deborah Watling (born 2 January 1948, Fulmer Chase, Buckinghamshire) is a British actress best known for her role as Victoria Waterfield, a companion of the Second Doctor in the BBC television series Doctor Who. She also starred in Alice, Dennis Potter's version of Alice's Adventures in Wonderland, for the BBC's The Wednesday Play strand in 1965, a small role in That'll Be the Day and as Norma Baker in the ITV series Danger UXB in 1979. Watling played Victoria in Doctor Who from 1967 to 1968, as well as appearing in Dimensions in Time (1993) and Downtime (1995). Her father Jack Watling appeared in Doctor Who as Professor Travers in the serials The Abominable Snowmen and The Web of Fear as well as Downtime. Her sister Dilys and her brother Giles are also actors. 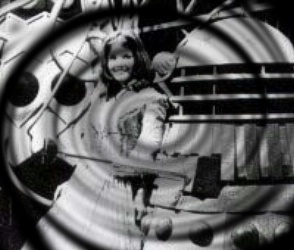 Deborah has also appeared in the Doctor Who audio drama, Three's a Crowd. Watling regularly attends Doctor Who conventions and events, where she meets fans and speaks about her time on the programme. She co-starred with Cliff Richard in the 1970s film Take Me High.